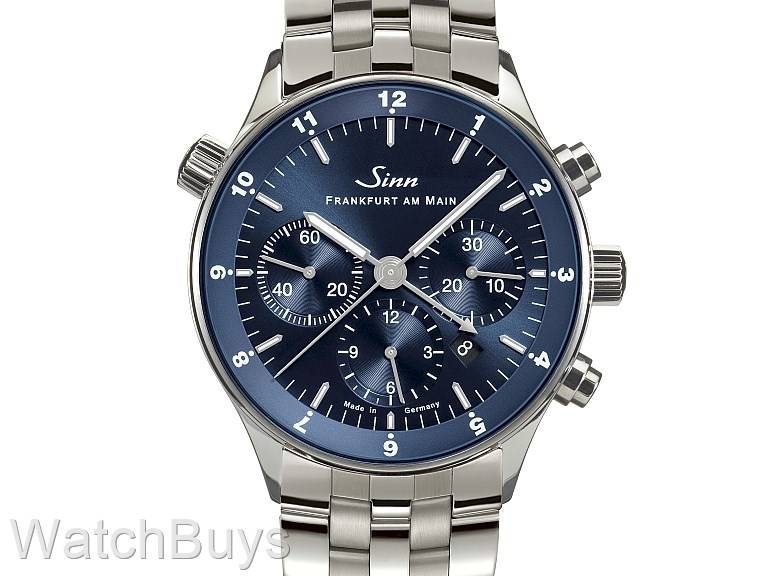 To celebrate the 20th anniversary of the Frankfurt Financial District Series (the original Sinn 6000 was introduced in 1999), Sinn has introduced the limited edition Sinn 6099 B Frankfurt Financial District Watch. The 6099 B is limited to only 200 pieces worldwide. The Sinn 6099 B was designed to stand out from the rest of the Frankfurt Finance Series with its striking blue dial and sunburst decoration. 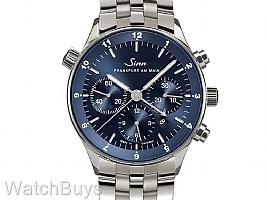 We love the complications on the Sinn 6099 B. 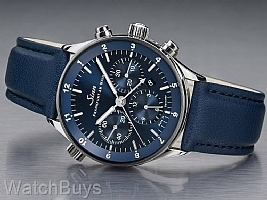 This watch features three time zones, complete chronograph functions and date display. The additional two time zones are achieved first by a second hour hand, and next by a rotating inner bezel protected by sapphire glass activated by the crown at 10. Watches in this collection are distinguished by their connection with Frankfurt am Main, the internationally renowned banking and stock exchange center and Sinn's home since 1961. Keeping in line with the other models in the Frankfurt Finance Series, this watch includes a polished stainless steel case, special engraving of the Frankfurt skyline on the rotor, sapphire crystals on both sides, and elaborate packaging. Included are a Sinn blue calf leather strap, Sinn polished fine link stainless steel bracelet, additional spring bars, watchmaker's loupe, Sinn tool and metal warranty card.